I'm very proud of this wallpaper even though its very simple and didn't take that long, but thats about it. wow AWESOME! I like it! It's Gaara so I am FAVING! Great job u keep it up! i love it, he looks so cool! 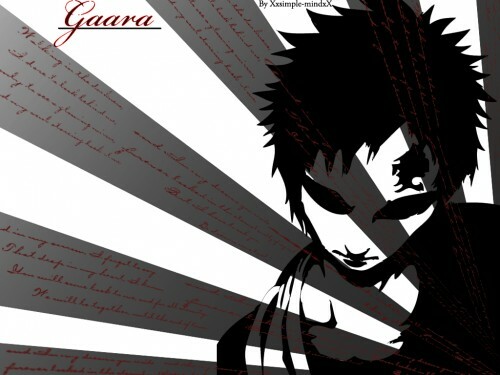 I love ur incorporation of the old Japanese Flag...n Gaara look maad cool 2. Good Job. simple, yet it's still AWESOME!